Just over the hill from Williestruther sits Acreknowe Reservior. This is a fly only water and very popular with visitors and the locals. 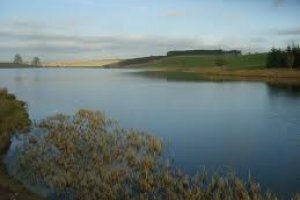 This loch is stocked as Williestruther with rainbows it has a natural stock of brown trout with wild of up to 3.5lbs having been caught already in 2004.